Irish Frenzy is a 5 reel, 10 payline slot from Blueprint Gaming which has been licensed from Reel Time Gaming. Available to play from 10p to £100 per spin on all devices, this Irish luck themed offering is simple yet medium to high variance – it comes with a Free Games feature where up to 20 free spins can be won – you collect pots of gold for extra wins too. 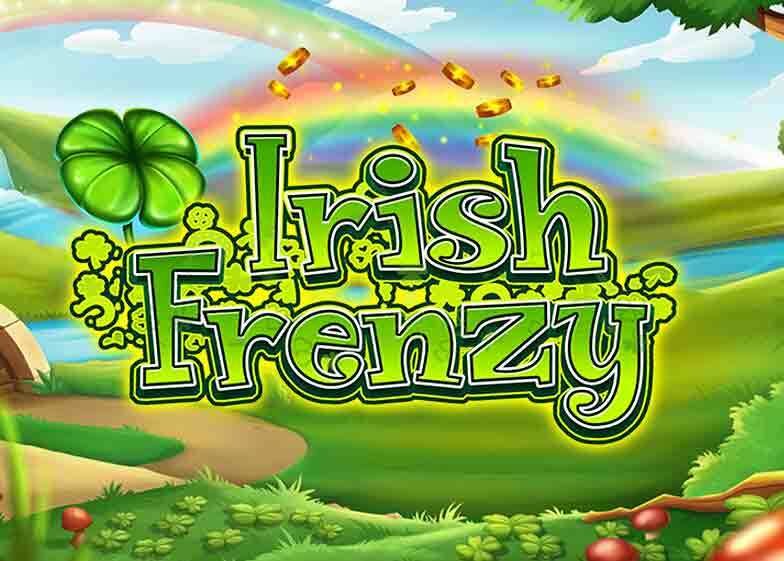 Aesthetically, Irish Frenzy is quite simple – it has the look of a land-based slot. With a lush countryside in the background, symbols on the reels include A, K, Q, J and 10 playing cards, 4-leaf clovers, mushrooms, pints of stout, pots of gold and golden harps – the latter is the most rewarding giving you 200 times your stake for 5 on a payline. The most important symbol is the pot with the rainbow coming out of it – this is the scatter with 3, 4 or 5 triggering the Free Games feature with 10, 15 or 20 free spins respectively. Once in, you’ll see a leprechaun symbol – this is the wild and substitutes for all symbols. 2, 3, 4 or 5 leprechaun wilds across a payline will reward you with 1, 10, 50 or 500 times your stake. Furthermore, it will collect all pots of gold symbols for extra wins – each wild will collect the value shown on the pots of gold symbols. This can be anything up to 50 times your stake. Irish Frenzy also gives you the option to buy your way into the Free Games feature – click on the Free Spins Frenzy feature button to the left of the reel set in the base game. It will set you back 70 times your total stake. Whilst Irish Frenzy isn’t the best looking slot we’ve come across, it’s medium to high variance and can pack quite a punch – you can win up to 5,000 times your stake on each free spin if you manage to fill the reels with wilds. Alternatively, you can get plenty of pots of gold symbols which can result in big wins (in addition to the wins from other symbols). I quite like Irish Frenzy as it’s simple and offers good win potential. If you like simple slots, Blueprint Gaming has plenty – Journey of the Gods and Grizzly Gold are both recommended (and offer some serious payouts if you’re luck is in).